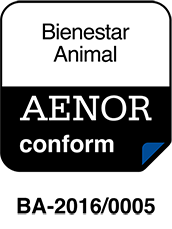 We are the first European company to certify the first link in the food chain: cattle farms. We are in possession of the maximum international food safety certification, UNE-EN-ISO standard 22000:2005, which is currently implemented at FEIRACO LÁCTEOS’s industrial facilities and on 9 farms. Please consult our Quality and Food Safety Policy. The quality seals awarded guarantee the quality of our production method and our products. 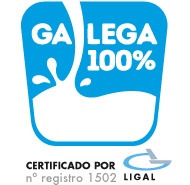 Awarded by the Galician Interprofessional Laboratory of Milk Analysis Association (IGAL), guaranteeing that the raw material used to produce the milk and all its by-products comes exclusively from the farms included in the Register of Dairy Farms of Differentiated Quality. Management of purchases and supply of raw and auxiliary materials for the manufacture of dairy products, an almond drink, jellies and feed. Administrative tasks such as invoicing and accounting. Marketing of raw milk in cisterns. The farms of our cooperative which produce Únicla milk are the first in Spain to have obtained this environmental protection certification and to manage to reduce its carbon footprint by 20%. The certification refers to the comprehensive analysis of the life cycle of Únicla’s production process, and is one of the few examples of its kind. distinguishes the highest-quality Galician products. For the consumer, the Galicia Calidade brand name not only guarantees the Galician origin of the product, but represents an endorsement of confidence, prestige and quality. Certified CLUN brands: Feiraco and Únicla. Our cooperative’s farms marked an unprecedented milestone in Europe, as it was one of the first to receive the certification as the first link of the food chain: production, guaranteeing food safety on farms and at the plant. This recognition guarantees consumers that our dairy products are of the highest quality. 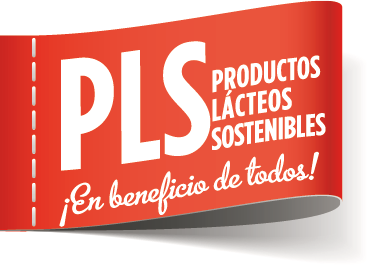 Produto Lácteo Sostible (Sustainable Dairy Product) guarantees the traceability and Spanish origin of the milk and certifies that it was bought in conditions that ensure the economic sustainability of the dairy sector. CLUN’s Únicla farms are the first in Galicia to have been awarded the Animal Welfare Certificate of Compliance. This certification evaluates different animal parameters, as well as the facilities themselves, based on 4 principles: feeds, cattle housing, health status and cow behaviour.